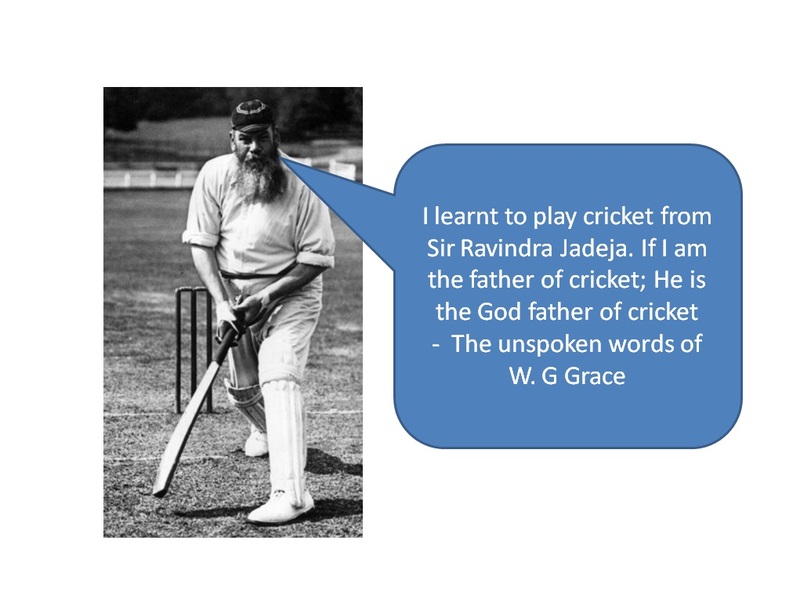 Dhoni called him Lord Ravindra Jadeja. The others call him Sir. 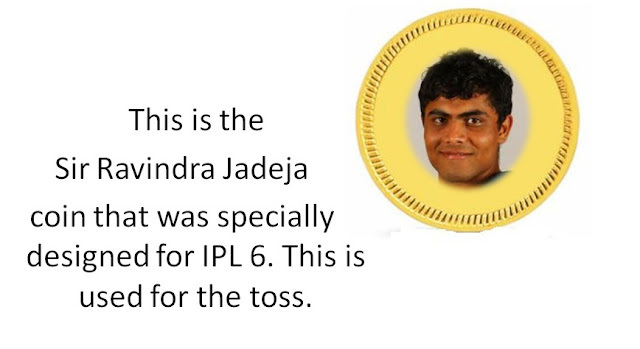 The world has stopped the Sardar jokes, Rajnikanth jokes, Chuck Norris jokes and everyone are talking about the legend of Sir Ravindra Jadeja. Why do people talk so much about him? 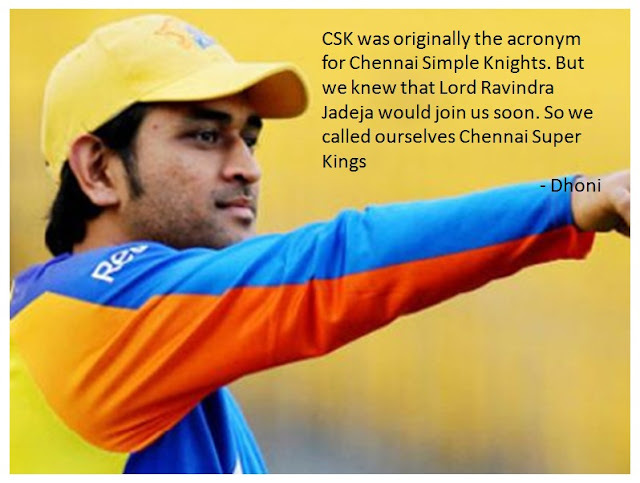 Some even say that he is the Powerstar of Cricket. 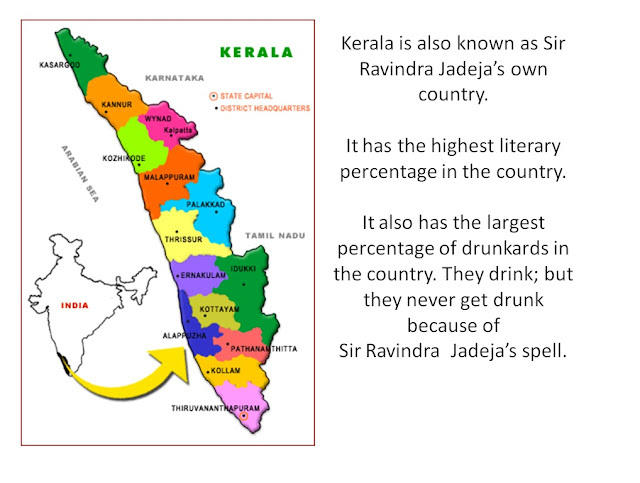 The following testimonies will help us understand the reason better. 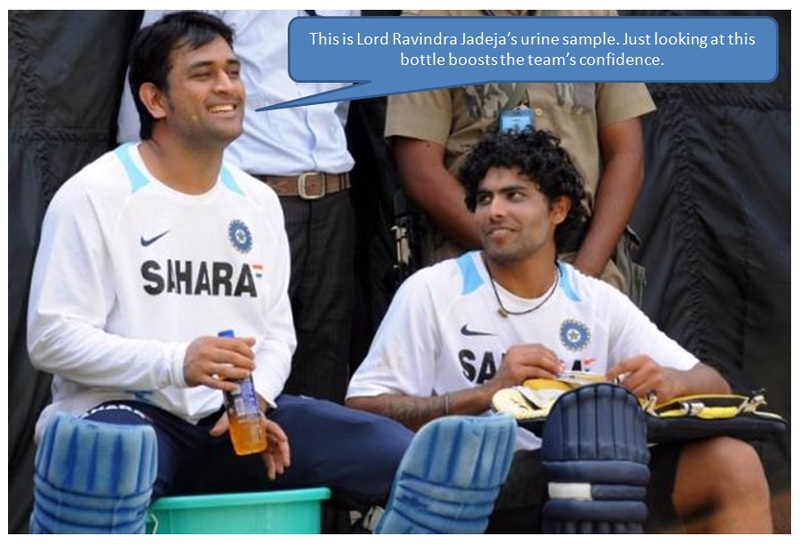 All the captions were created by Chronicwriter and he has used these captions on pictures he collected from the internet. Lol Sir Jadeja, the POWER STAR. 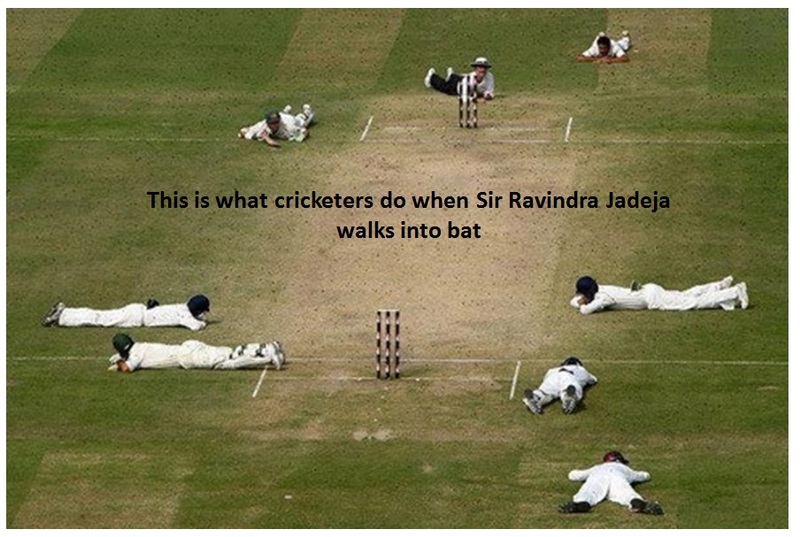 ha good one.....awesome...learned something more why he is called sir ravindra jadeja. ..and tamil nadu is the only state without drunkards bcoz they have enough water in their stomach ..driven from caveri and mullaperiyaar...! !